We used blocks to spell out Chloe in front. I love how much she looks like the little girl in Toy Story. And look how happy she is during her bath session. 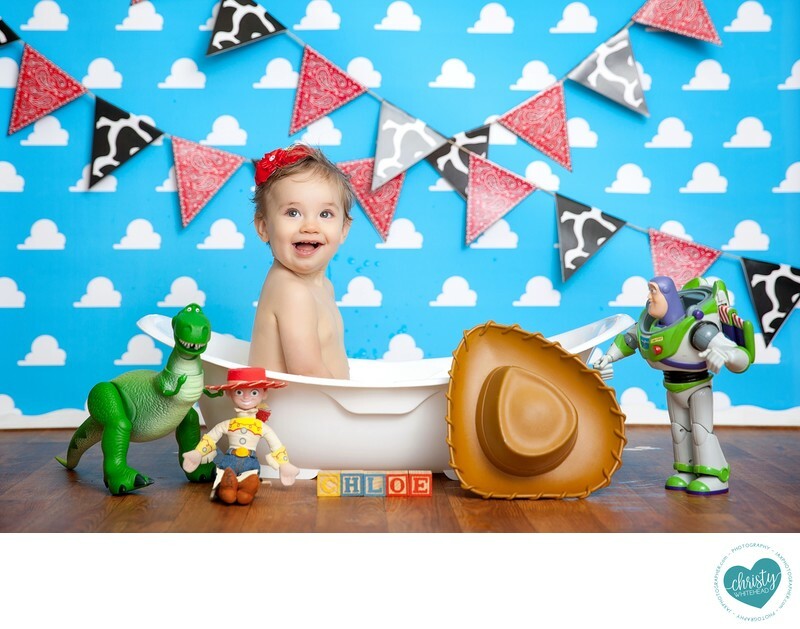 I love photographing bath time sessions.